My family had a wonderful reunion last week in the seaside town of Gloucester, MA. We extended our time in Massachusetts to see the great city of Boston, and were put up by the Loews Boston Hotel for our stay. When I told my friends I was going to Boston for the first time their eyes all lit up… I knew I was in for a treat. 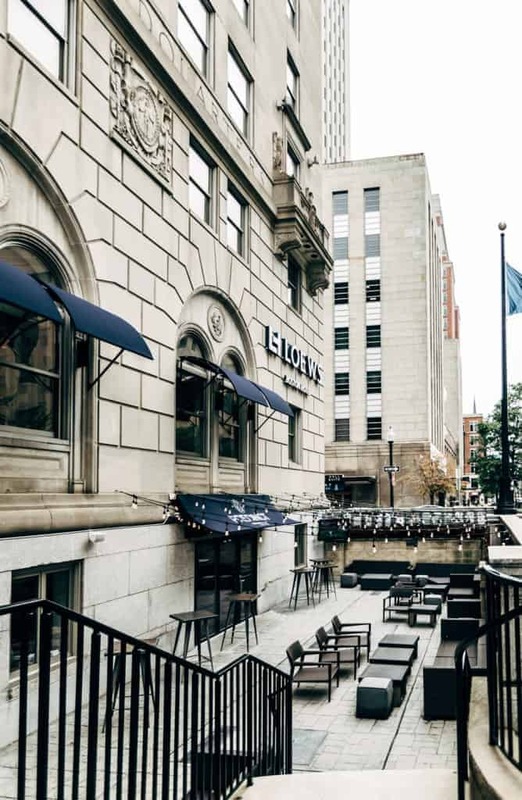 The location of the Loews Boston Hotel was perfect for travelers like us who prefer not to rent a car unless needed. 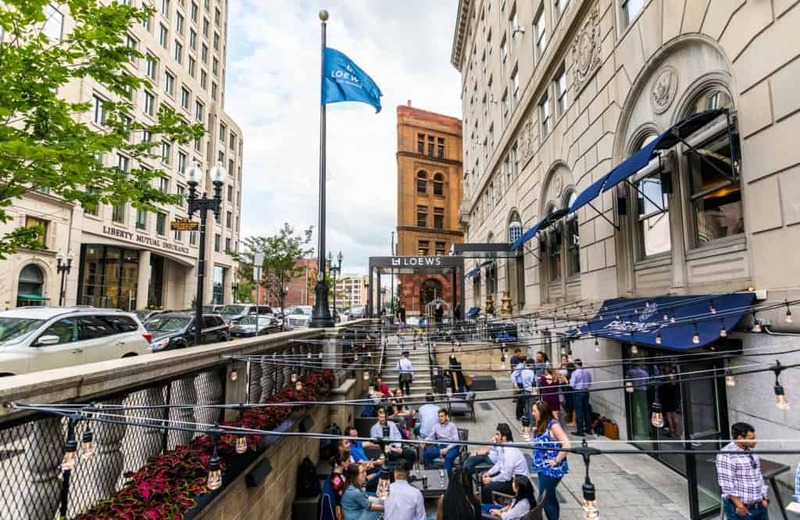 Loews Boston is in the vibrant Back Bay, which itself has many attractions and is also centrally placed to easily access the other areas of the city. On the afternoon we arrived we decided to just walk around the nearby streets without any destination in-mind, and stumbled upon Copley Square, the Boston Public Library (what a nice surprise… it was built in 1848 and looks more like a palace or cathedral than any library I’ve ever seen), as well as two historic churches: Trinity Church and The Old South Church. These were all within a few blocks of the hotel so we were already blown away with the location. 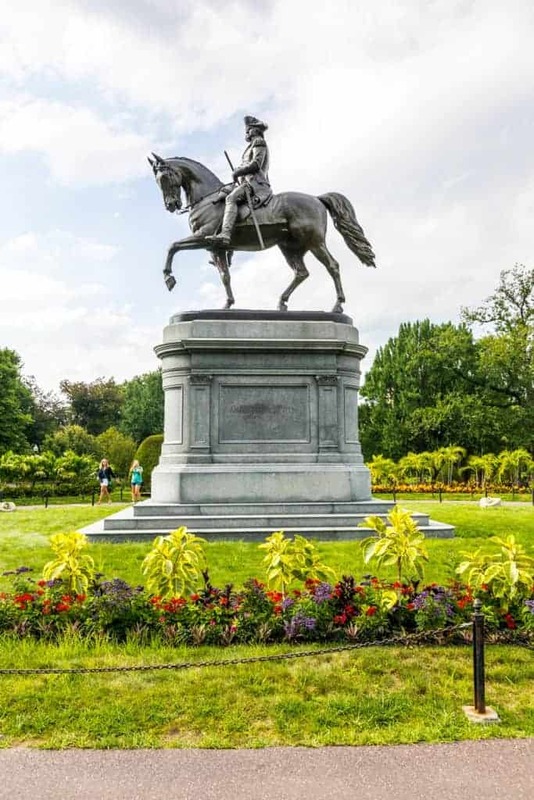 The next day we walked a stone’s-throw away in the other direction to hit two top attractions on our agenda: Boston Public Gardens and the Boston Common. I’m a huge fan of parks in the heart of a city like this one or Central Park in New York. We spent most of our time in the Boston Public Gardens and with the adjacent Boston Common (America’s oldest park), there was plenty to keep us and the kids busy from the Swan Boats to the George Washington Statue, or simple things like grabbing an ice-cream and just taking in the grass and huge trees with the bustling city just steps away. 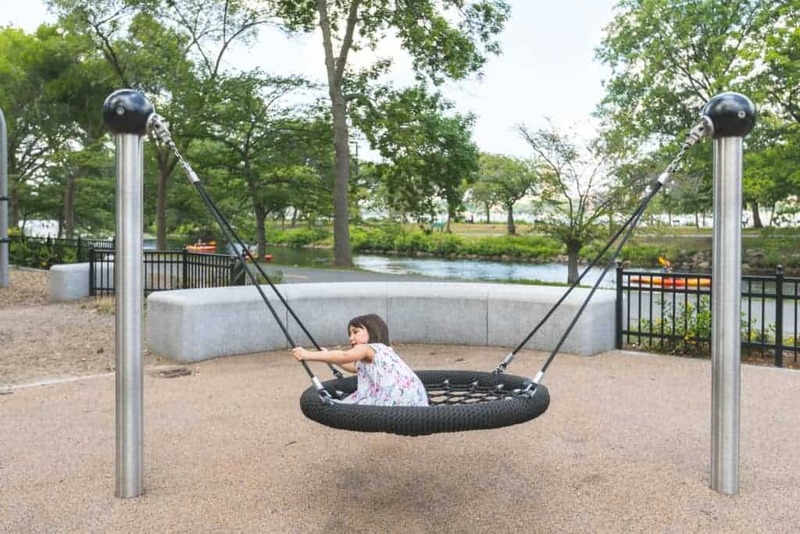 The Charles River Esplanade was a favorite for our kids with its impressive playgrounds. 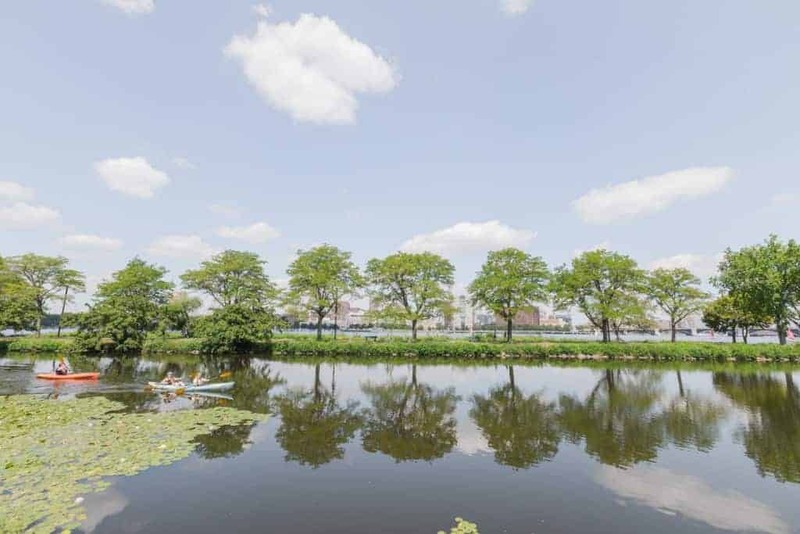 It’s so pleasant there with kayaks, sailboats, and the backdrop of MIT across the river. On the walk back we hit Newbury Street, Boston’s notorious shopping district, which was another huge plus for the area. Every high-end store you could imagine was right there, from Chanel to Tiffany & Co., D&G.. it had it all! As expected my husband didn’t want to tag along to most of these stores and did his own shopping at Restoration Hardware and Nike.. he was happy. I had heard a lot about shopping in Boston but had no idea that Newberry Street was so big. I counted 10 continuous blocks loaded with stores; I was in heaven! Tip: Don’t sleep on the shopping experience in the South End, either. From vintage shops to trendy new restaurants this might just be the hippest part of the city. I’ve stayed at four Loews hotels in the past year and one thing I love is how each of them is completely different. This was definitely the case for Loews Boston. 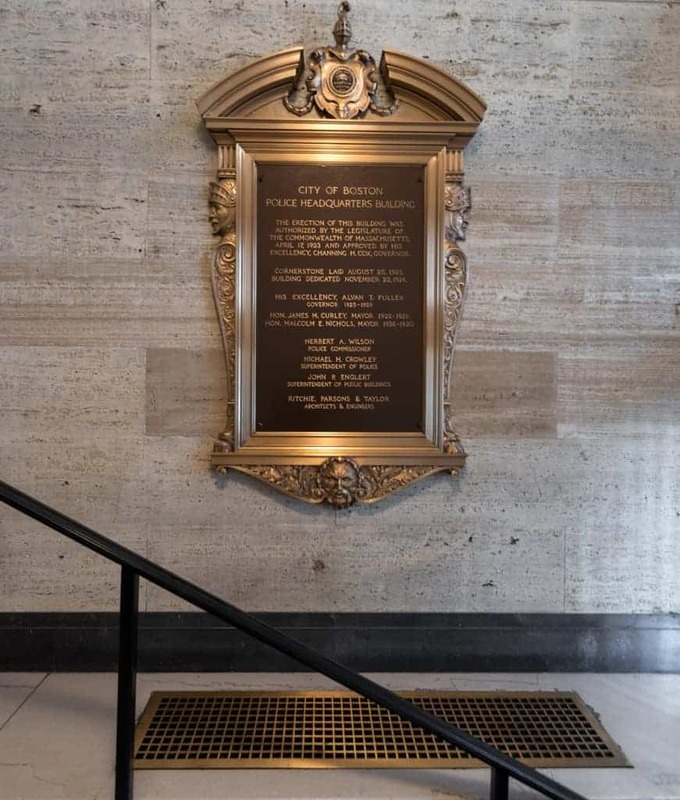 The outside of the building is stunning limestone with carvings and the inscription of “City of Boston Police Department Headquarters” across the length of the building. This isn’t just for show; the building was actually the headquarters for many decades dating back a century. It was amazing to be in a modern and elegant hotel that still preserved the rich history of the building through pictures and stories (Boston had some legendary crimes dating back to those times). 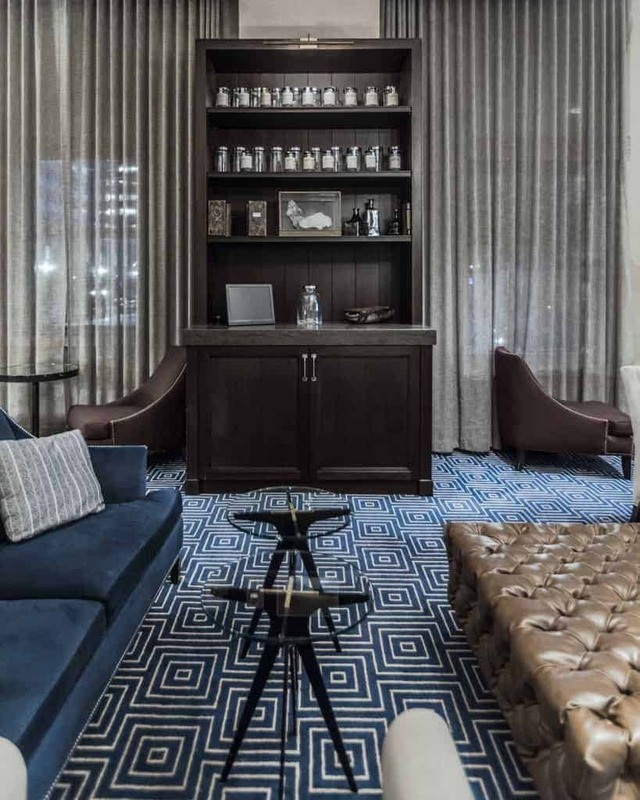 The lobby is classy with the best part being the apothecary lounge that has free high-end coffee (from Boston Common Coffee!! ), as well as teas and hot chocolate for the kids. 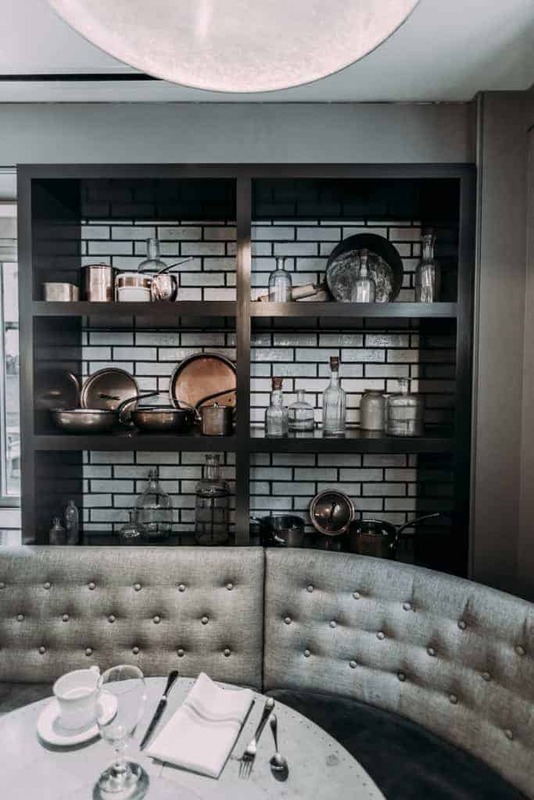 I don’t know who Loews interior decorator is but I want to hire them to give my home a makeover, it’s so chic and modern. My husband grabbed a different book off of the shelf each day there, he found some great ones on Red Sox history. 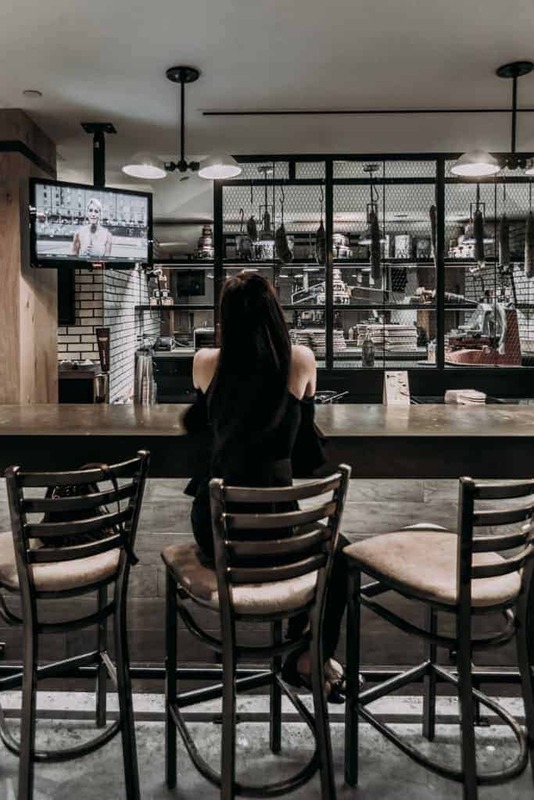 There’s a nine-panel TV in the apothecary and some comfortable seating where people can congregate or get caught up on the news. Our room was similar to those at the other Loews we’ve stayed at, which is a very good thing. After all of that walking it was great to sink into their bed, comforter and pillows… honestly Loews has the most comfortable out there. This is probably the most important thing to me along with a good AC unit, as a poor night’s sleep can flat out ruin a vacation or business trip. 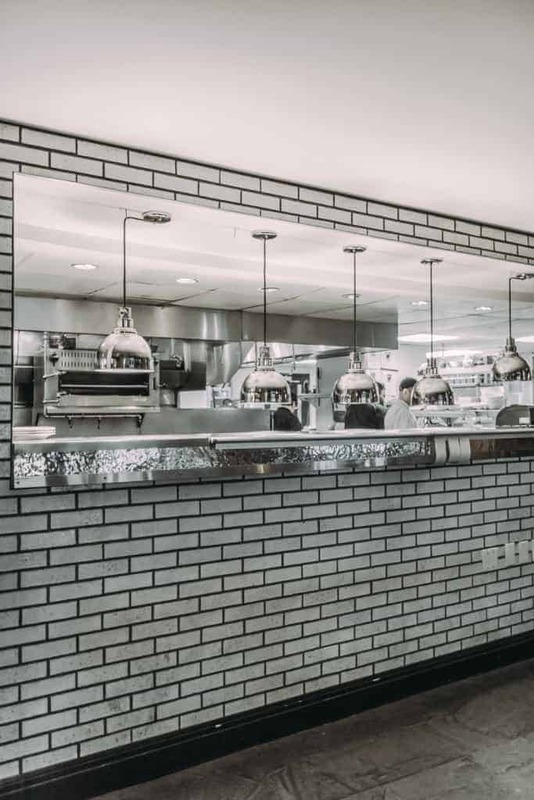 Onsite at Loews Boston is the Precinct Kitchen + Bar. It was open every time we wanted it to be: breakfast, brunch, lunch and dinner. 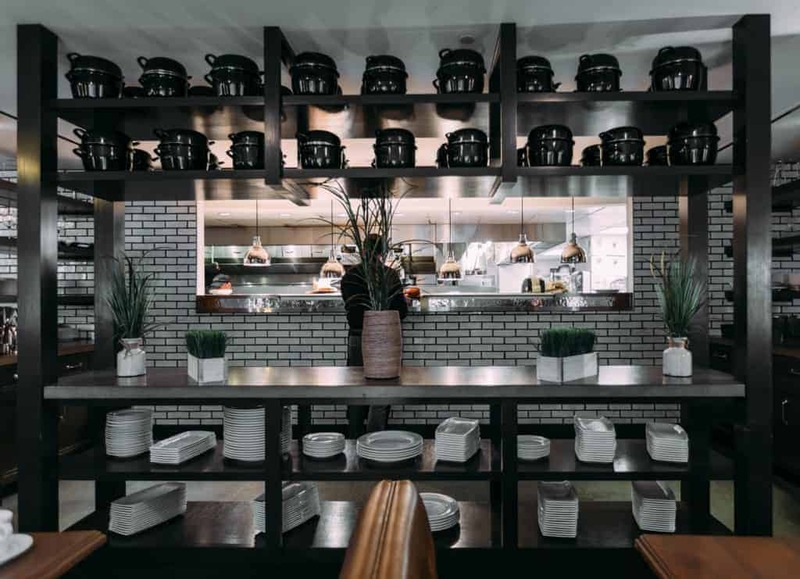 The restaurant has an open-kitchen concept so you can view the chefs in the back working hard at their craft. 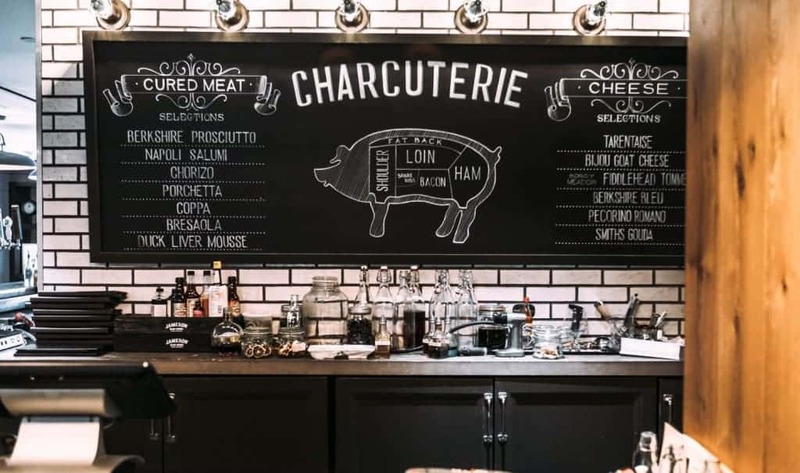 Charcuterie Board – An assortment of meats like Berkshire Prosciutto, Finocchiona Salami, Felino Salami, grilled bread, whole grain mustard, even some roasted almonds from Q’s Nuts which is a Boston favorite. This hit the spot as a great appetizer for the table. It looked to be a popular choice for those sipping on drinks outside, too. 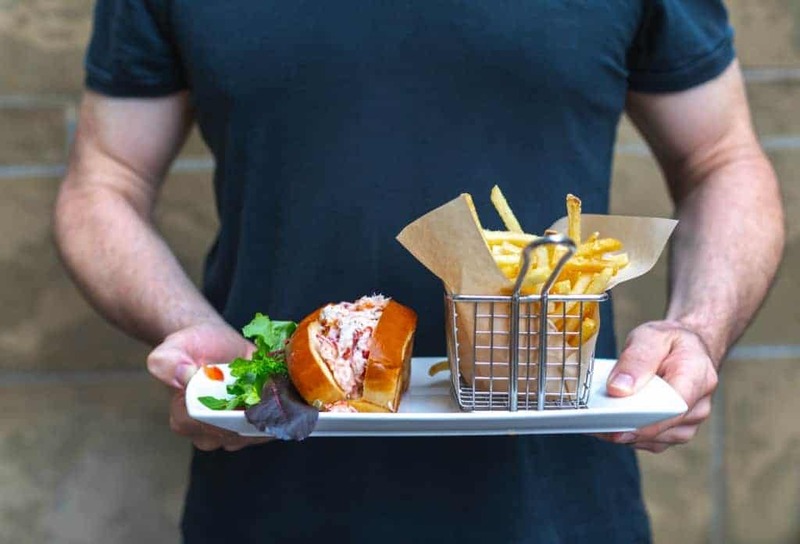 Lobster Roll – A Boston classic with just a hint of unique flavor as it has a tasty citrus tarragon mayo, and some of the best fries I’ve ever tasted. While in Boston you must try a lobster roll (or three or four of them), and this one is top-notch. 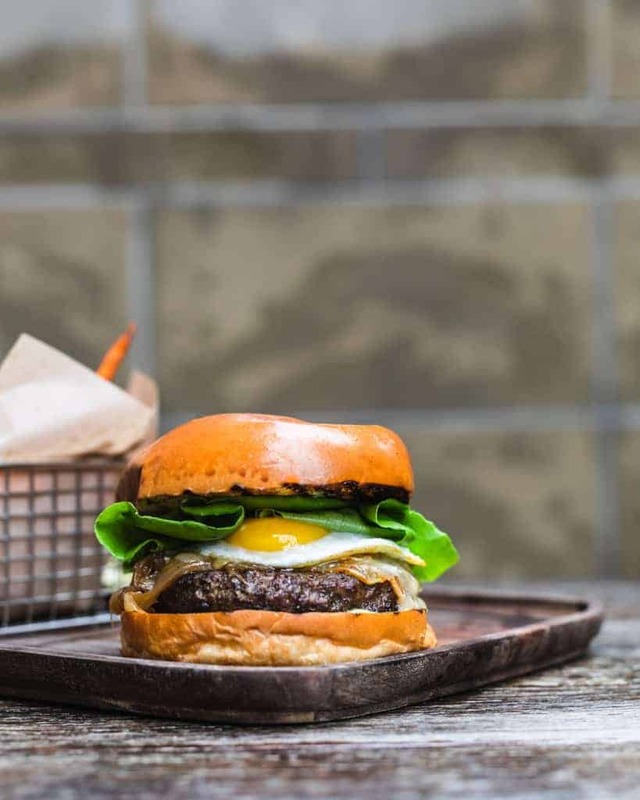 Green Muenstah Burger – A dry-aged sirloin burger that has caramelized onions, muenster cheese and an egg. The basil truffle mayo is to-die-for as it really rounds out the taste with the onions. This was my husband’s favorite, he came back and ordered it again the next day. 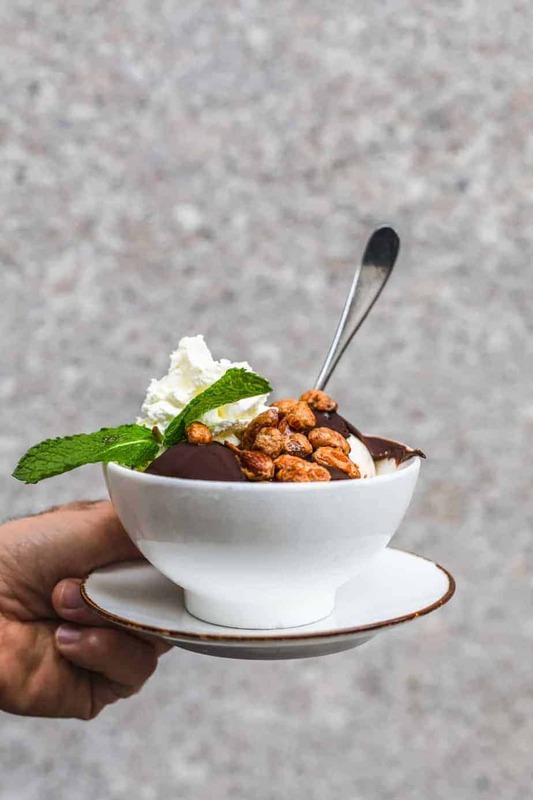 Our kids enjoyed a couple of desserts from Precinct and even a simple sundae or bowl of ice cream is special. Both had Q’s Nuts which went oh-so-well with the ice cream. The ice cream had a hardened chocolate shell as well that took me back to my childhood. 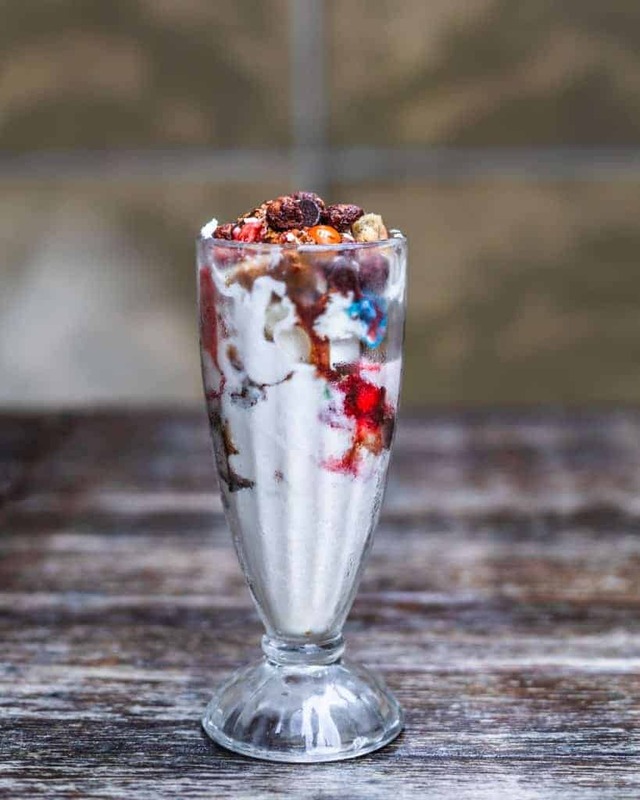 The sundae was beautiful, but I can only take my kids word that it was delicious as it was gone in 60 seconds, give or take. 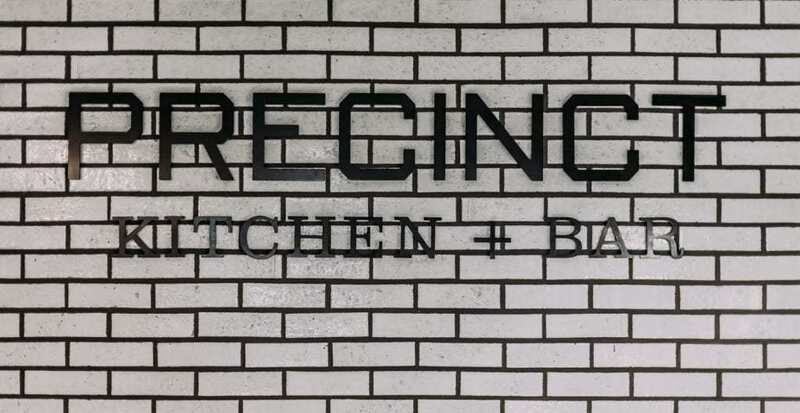 The bar at Precinct was very happening, with a good crowd enjoying the outdoor patio and welcoming inside area from happy-hour straight-through to closing-time. The crowd was a great mix of workers from the area, college kids, tourists like us, and locals who seemed to know the good spots for craft beer and specialty drinks. There are tons of local drafts available on tap and bottle. I was more in a cocktail mood and highly recommend their Gin Fix (kind of like a lemon drop with raspberries! ), and the Twisted Peach Mule (tasted just as it sounds, only better). My husband is on a big weight-loss kick right now and although the gym at Loews Boston is small it has nice equipment. The cardio machines are high-end and he really liked the simulation of biking through France. The hotel offers prison style boot camps from a personal trainer in the gym or up in your room. 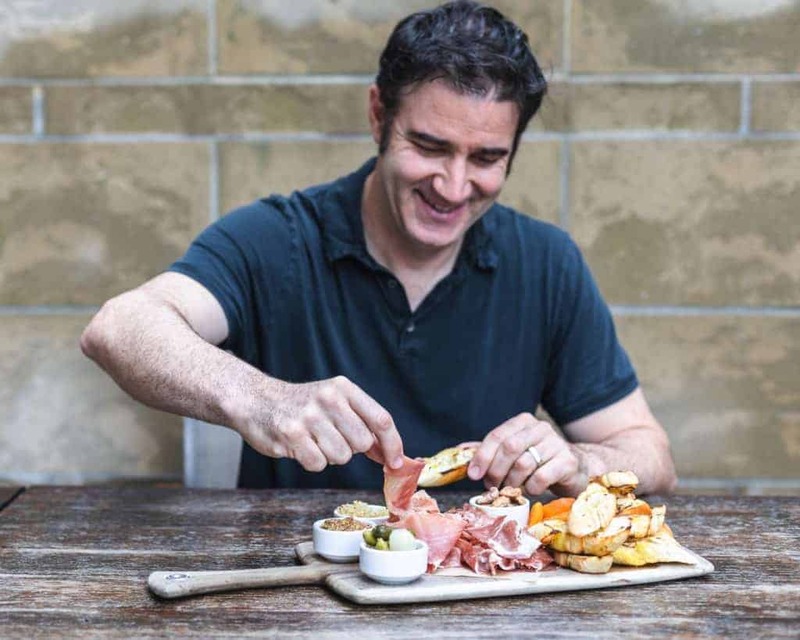 Loews was great for him as we were close to other healthy options for restaurants like Crave (yummy, healthy Mediterranean bowls), Jugos (green juices and more), and other spots with healthy options like Dig Inn or the Flour Bakery and Café. 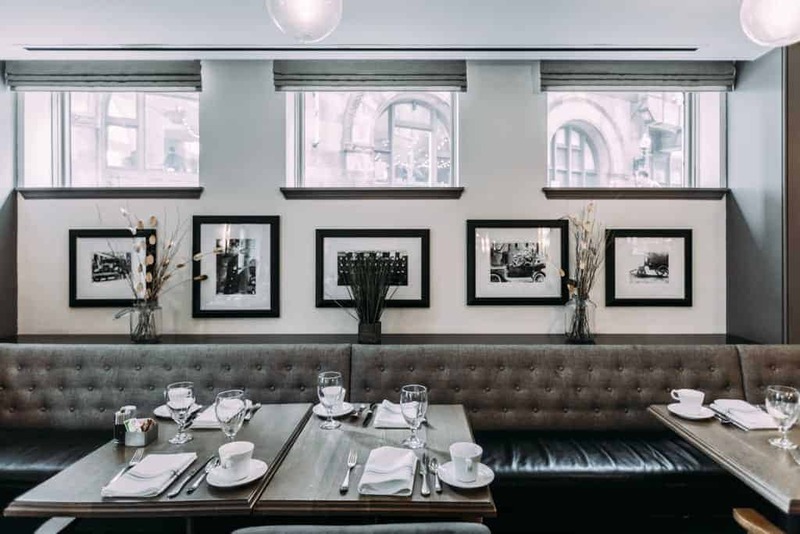 I know many of my readers are big health nuts and I’d highly recommend staying at Loews for the gym, Precinct (it has amazing salad options like baby kale and quinoa, or beet and arugula), and the other healthy restaurant options all around the Back Bay. My husband ate one too many a cannoli to lose weight in Boston, but at least he didn’t totally derail his weight loss plan. 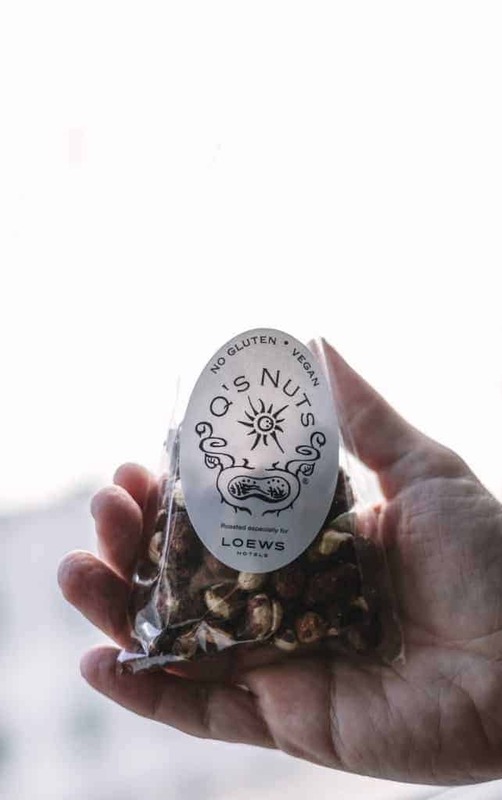 The new Flavor by Loews initiative has them partnering with choice food and drink companies in the city, enabling travelers like us to experience the premier flavors of the city right from the hotel. As mentioned earlier there’s Boston Common Coffee, a beloved Boston brew for over a decade. There’s also the Q’s Nuts that are actually vegan and gluten free. 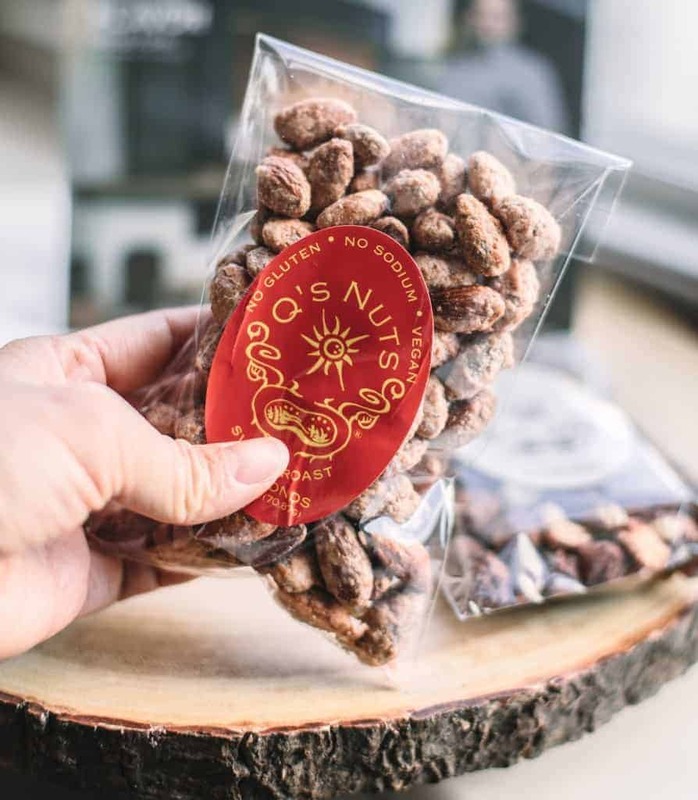 They have brilliant and fun flavors like banana foster almonds. 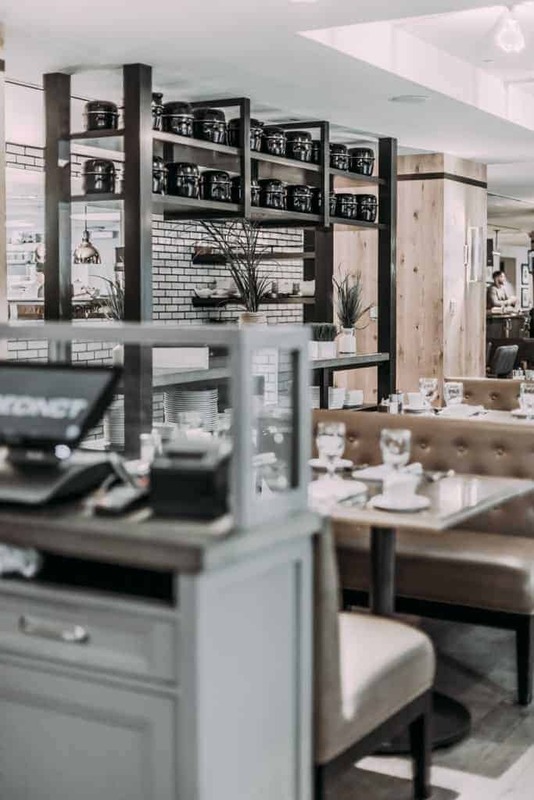 Down at the Precinct Kitchen and Bar you can also grab a whiskey drink from Boston Harbor Distillery. Their Rye Flip is probably the most memorable, with the rye, maple syrup, and a whole egg. Frothy, delicious and strong! 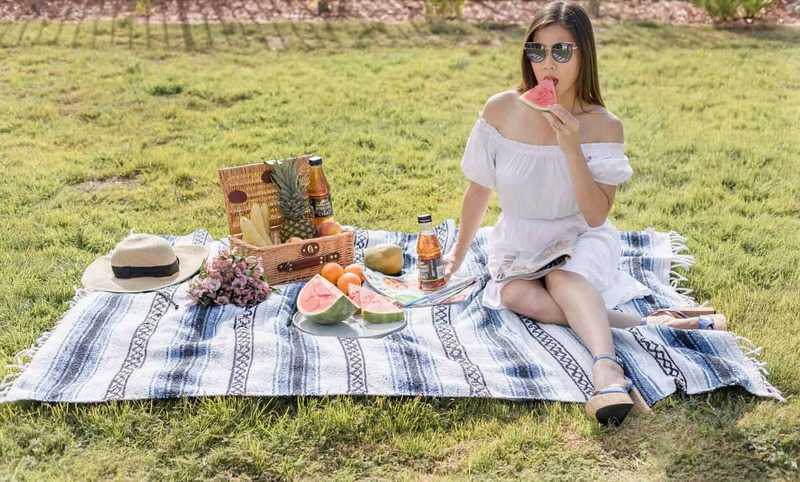 The creativity isn’t just on the drinks with the Flavor by Loews items. Take the coffee pancakes, which use Boston Common Coffee espresso beans almost like a cold brew when making both the pancake batter and the syrup. With the coffee reduced crème fraiche these were phenomenal. 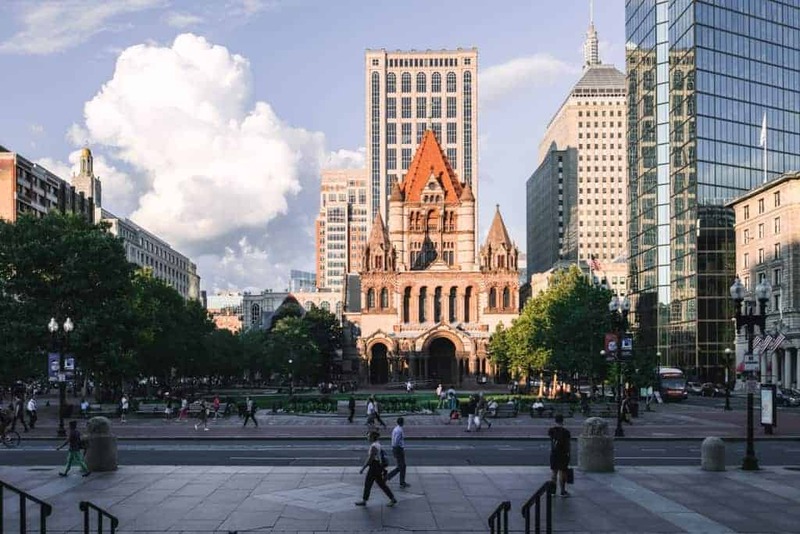 Boston is a special city and spending our time in a hotel that is comfortable, central and an actual historic landmark added immensely to our overall vacation experience. 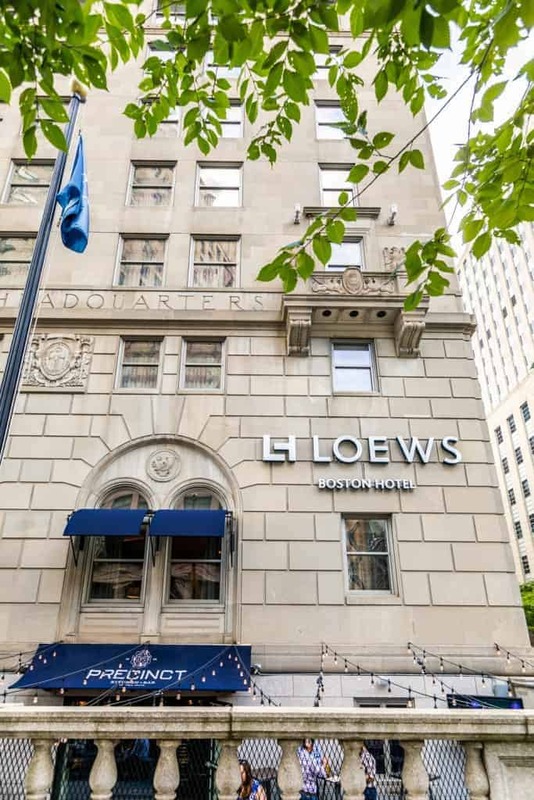 Loews Boston pampers its guests with white glove service and kindness from the moment of arrival until check-out time. My favorite thing about the hotel is that there’s unique character and charm at every nook and cranny. I can’t wait to get back there someday. V8 +HYDRATE® Gets Me Through the Holidays! Looks like you didn’t starve while staying in Boston. All the food looks so yummy. From the photos looks like a first class place to stay for awhile and enjoy exploring Boston. 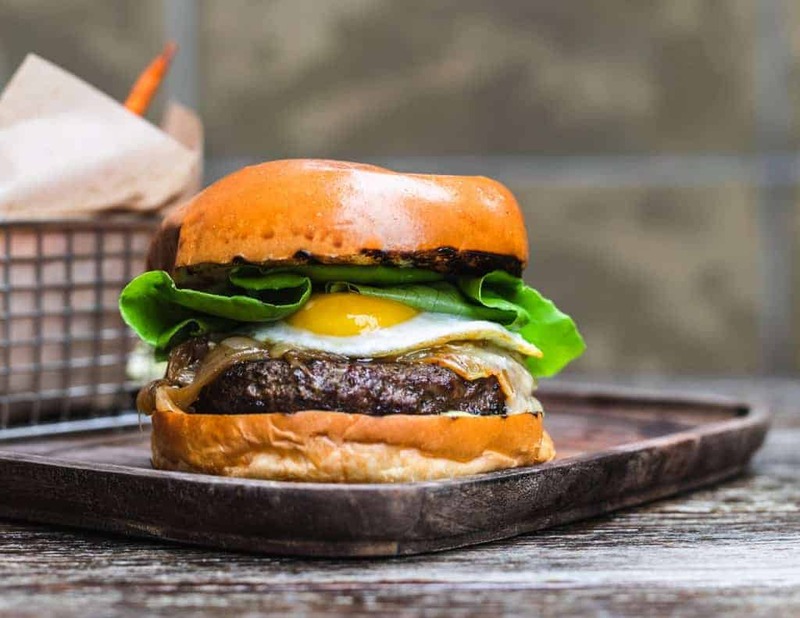 Well, now I’m hungry after seeing this scrumptious food. I would love to stay here one day! I’ll keep it in mind for when we do go to Boston. We are planning on it since we love history! What a beautiful hotel! I’ve never been to Boston and after looking at all of your gorgeous photos, I really want to go. What a great place to visit. That hotel looks like a place you would want to be if you were going to stay in Boston. The lobby was so inviting. I would love to sample some of those foods if I ever get there. Boston is one of those cities I would love to visit. And then I would EAT that burger!!!!!! What a beautiful building. So much history. Boston is one of my favorite cities to visit. The Loews Hotel looks stunning. I can’t wait to visit and stay at this hotel. Love that this Loew’s location is so convenient to many of the Boston historical sites to see. 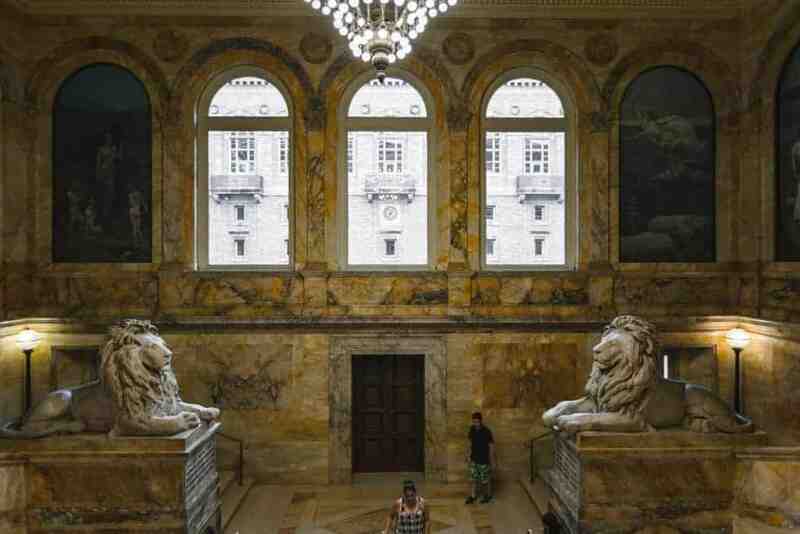 My family and I love visiting historical sites so this location would be ideal for us on our next visit to Boston. This looks like a beautiful hotel with many amenities. 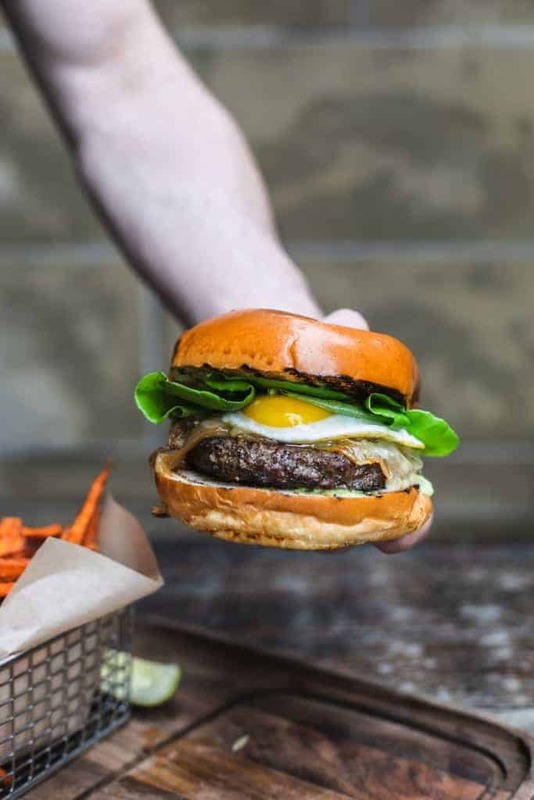 That burger looks so incredible. I would love to visit Boston again! I am definitely looking forward to exploring Boston. It offers so much history! Loews looks like a wonderful place to stay while in the area. I’ve been considering a trip to Boston! 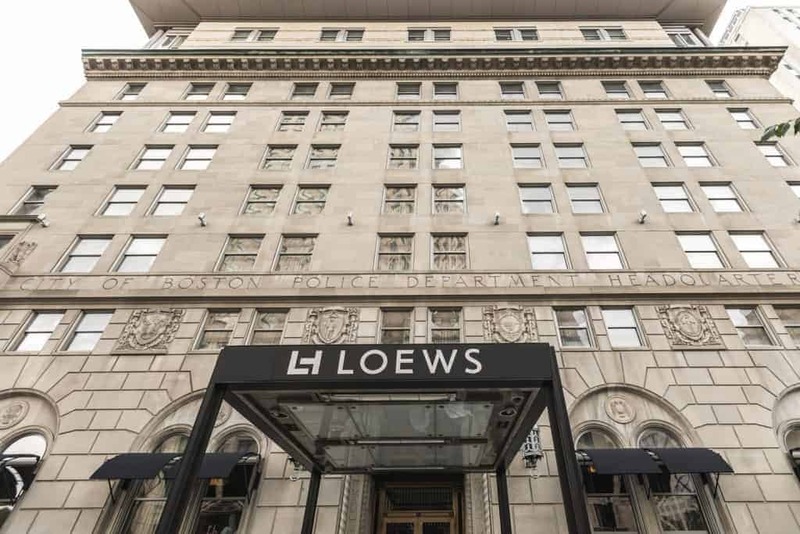 The Loews Hotel in Boston certainly looks top notch. I will have to add this to my travel wish list. I always love staying at Loews hotels. They’re all beautiful, and this one is certainly no exception. That hotel looks absolutely stunning! 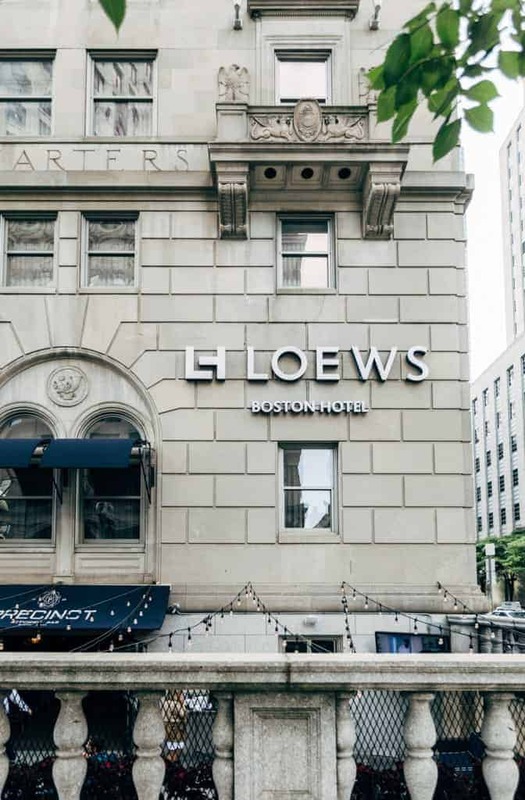 It’s been awhile since I visited Boston but I would definitely considering staying at the Loews Boston Hotel. 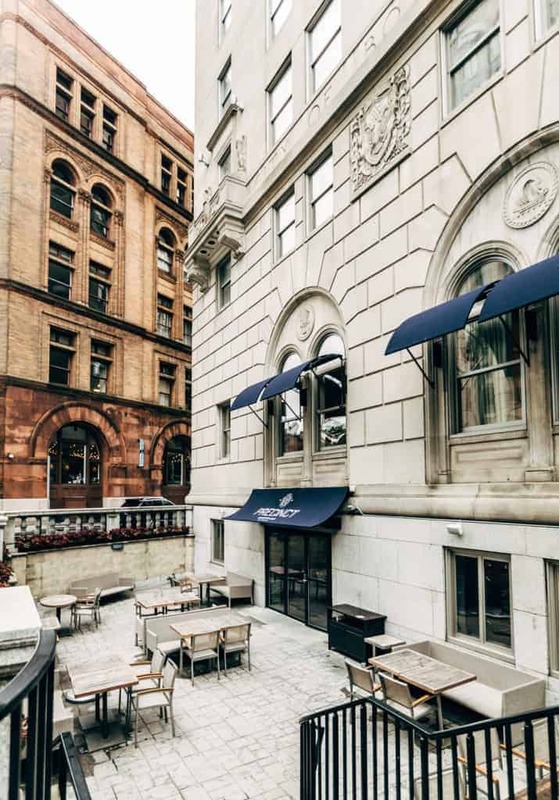 We have been talking about going to Boston for a while, and this hotel looks amazing! And the places you visited all looked really cool. We are only about 3.5 hours from Boston and I want to go for a long weekend and check it out. Thanks for sharing your information, I’ll have to remember these when I plan. I love how you tell your story. The title indeed shows that it is a great experience. Classy and the foods are really a wow! I am drooling over it while scrolling. I wish I could visit this and experience soon. That is such a gorgeous structure! I would love to take my family there sometime in the future. What a beautiful hotel and those food definitely looks delicious. We have never been there yet, hopefully in the future we can visit and check out this hotel. 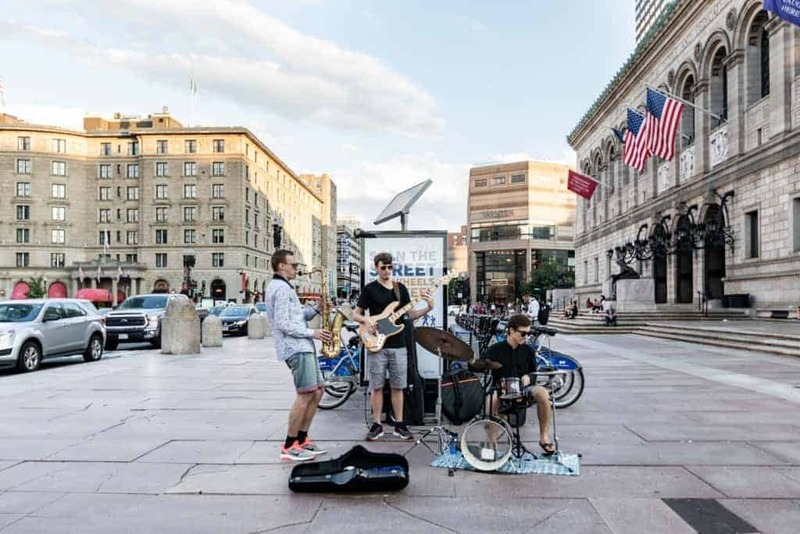 Boston is one place we are wanting to take the kids. This looks amazing! I love that the hotel was coffee and hot chocolate, and it looks like it’s centrally located to see so many things. My niece went to school in Boston, and I fell in love with the city. It’s definitely time to go back and explore more. 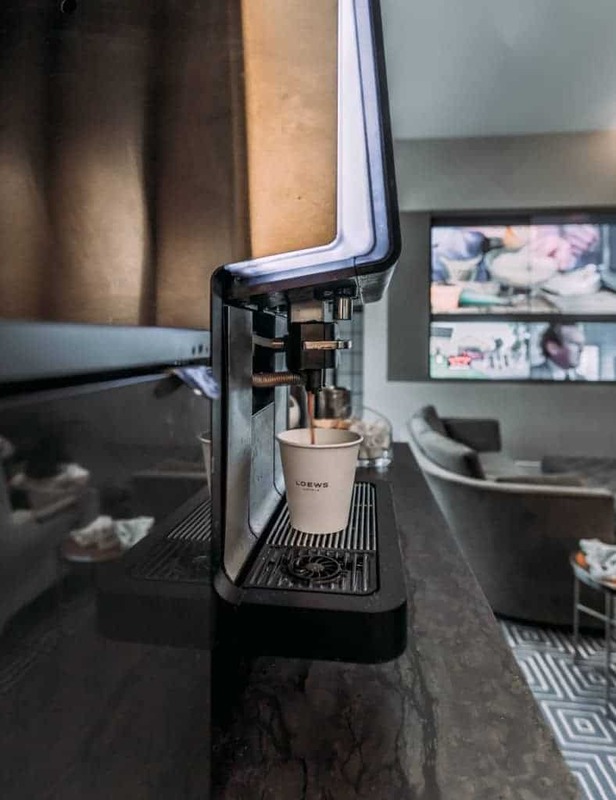 Looks like you found the perfect accommodations that are both cool and comdortable. I ave a trip planned early next year and this was a great review. That mule sounds like I need to try it out too.